At Our Lady Immaculate our aim is to promote high standards of language and literacy by developing a life-long love of literature through the enjoyment of reading. Pupils are given many opportunities to communicate their ideas to others and, through their reading and listening skills, are able to consider and reflect on others’ ideas. We adopt a creative approach to teaching English where reading and writing are taught as inter-dependent skills. Spoken English underpins the development of reading and writing. The ability to express ideas orally helps to improve the standard of the pupils’ writing. The environment and the organisation of the classroom provides rich and stimulating language experiences for the pupils as well as regular opportunities to speak in whole school assemblies, services, Masses and productions. Pupil voice is encouraged through the School and Eco Council’s that aim to further hone these important life skills. Enjoyment is the most important aspect of reading and we are keen to develop enthusiastic readers who will continue to read for pleasure and purpose throughout their lives. Reading takes place throughout the school day across all curriculum subjects as well as the formal teaching and guided reading in class. 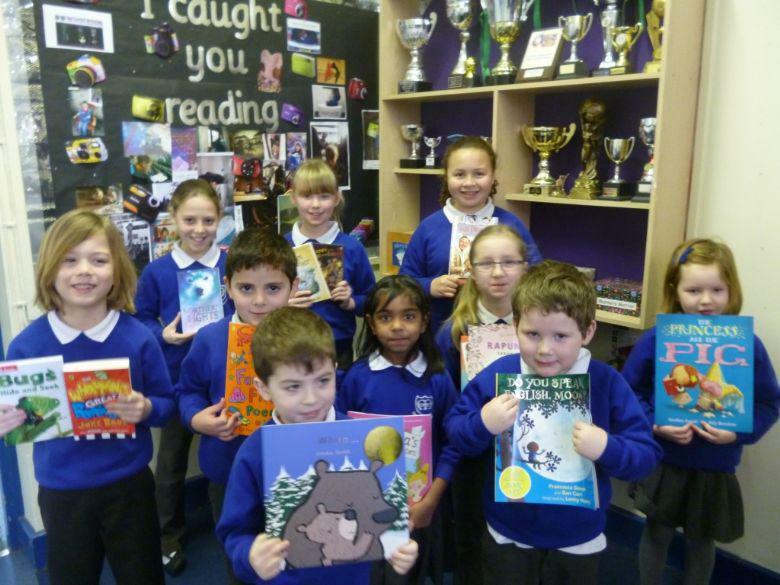 From an early age, pupils take books home to share with adults. As they become more proficient reader, they extend their reading matter to a wider choice of fiction, non-fiction and poetry books which they choose from our well-sourced school library and class libraries. The Parent Teacher Association generously provides funding for teachers to purchase books as requested by the pupils to further promote the love of reading. Writing is a learning medium that extends across the curriculum and children need to write as a means of communication and as a way of clarifying their own thoughts and opinions. The children are encouraged to develop their cognitive skills, imagination and personal expression through a range of writing tasks using clear, concise language. Writing is constantly celebrated in class, through displays around the school, assemblies and visiting the headteacher to share their work. 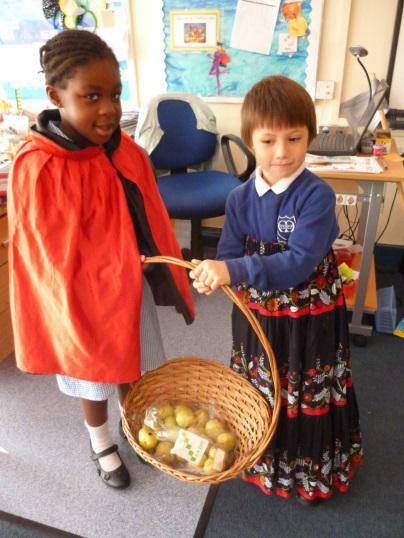 We offer children the opportunity to take part in writing events and write with real purpose where possible. Writing is often topic-based and enhanced by the many school trips and visits across other subject areas. Within the past year, we have shared writing with local businesses and enjoyed visits by theatre companies and speakers. KS1 follow the Letters and Sounds, Jolly Phonics and Jolly Grammar spelling programme. Spelling patterns, rather than traditional lists, are taught within class and set homework activities follow the investigative approach, allowing children to develop their skills in applying their knowledge of spelling. In addition, the children learn the list of words found in the Spelling Appendix from the National Curriculum for their year group. In KS1, weekly dictation activities consolidate the spelling patterns of the week. KS2 uses exclusively words from the National Curriculum 2014 Spelling Appendix and topic based words. Weekly spelling patterns are explored at home and a range of learned and unseen words are tested the following week. Time is allocated for weekly testing of spellings. Children have the opportunity to choose reading books from a carefully selected range of books within their own classroom. The books are rotated regularly to ensure the children have exposure to as many high quality texts as possible.